Romani (Gypsy) inmates stand at attention during an inspection of the weaving mill, site of forced labor in the Ravensbrück concentration camp. 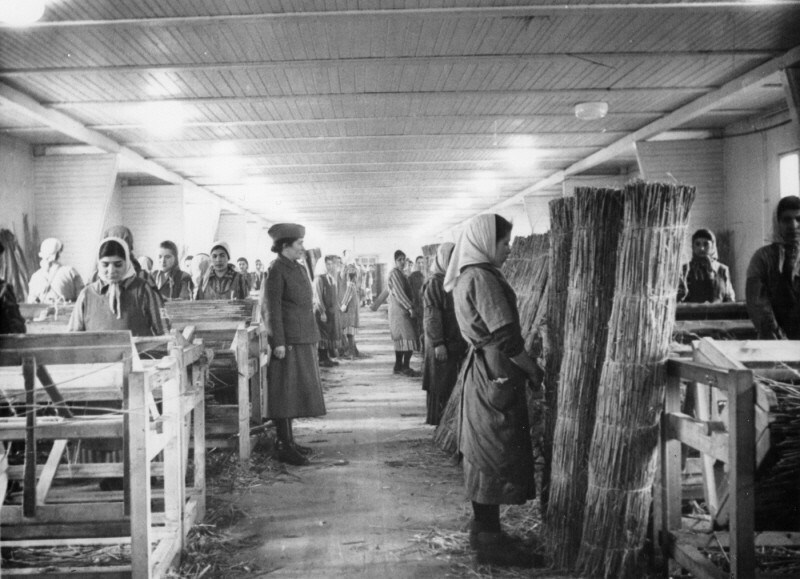 In this workshop prisoners wove reed mats used to reinforce roads in swampy regions of the eastern front. Germany, between 1941 and 1944. This photograph is from an SS propaganda album.